According to a recent poll, Ukrainians see three key threats to their country: corruption, oligarchs and Russian aggression. The recent dismissal of oligarch Ihor Kolomoisky from his post as governor of the Dnipropetrovsk region exposed the challenges facing the Ukrainian government in tackling the first two of these problems, and is just the beginning of a protracted struggle with vested interests. The country's economy has been captured by oligarchs, most of whom accumulated their wealth through murky privatization of major industrial assets and through energy trade with Russia. According to different estimates they control about 70 percent of Ukraine's economy. The oligarchs created a structure that protected their monopolies, provided access to cheap energy and gave them control over lucrative state-owned companies. Their leverage comes from the control of media resources, political party finance and several key state enterprises. In many cases, the legal framework set up by the oligarchs' political cronies ensured their actions remained within the boundaries of the law. Whenever a new minister was appointed, it was common for people to ask which oligarch "owned" him or her. Members of parliament also formed a tight network around the oligarchs they served. But things are changing. The victory of the Euromaidan movement and the parliamentary elections resulted in a pro-reform majority in parliament. That, together with Russia's occupation of Crimea and war in the Donbass, where many oligarchs have assets, shattered the status quo among the powerful business groups. Most Ukrainian oligarchs have seen their wealth melt away. Rinat Akhmetov, Ukraine's richest oligarch and a backer of ousted President Viktor Yanukovych, has lost $5.8 billion over the past year. He had to flee Donetsk in May 2014 and his lavish mansion was captured by armed separatists. Dmytro Firtash, another business mogul, is currently under house arrest in Vienna awaiting a decision on his extradition to the United States on corruption charges. Until recently, it seemed Kolomoisky was unique in having improved his position. He funded private military battalions, which played a decisive role in defending the region from the Russian-backed separatists. This improved Kolomoisky's public image considerably, but his rising power was a concern for citizens, the new political elite and Ukraine's Western partners. Kolomoisky's weight is stronger than most because of his local popularity and ownership of the largest private bank in Ukraine. He may assert pressure on Kiev by mobilizing public opinion in southeastern Ukraine, which is more open to discussions of "federalization." 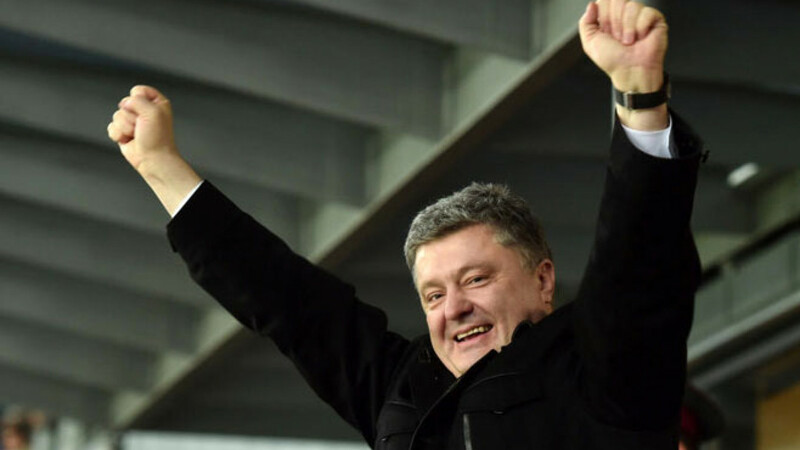 Even Poroshenko is not immune to accusations of reluctance to separate politics and business. He promised to sell his Roshen confectionery business upon taking up office, but has not yet done so. The first steps have already been taken to mitigate oligarchic influence: a new law strengthening accountability of judges, public oversight and the independence of the judiciary; a decision to transform the national television channel into an independent public broadcaster, strengthening the media environment; and the integration of private armies into the national guard. The West should make financial support to Ukraine conditional on continuing reform. The 2015 privatization of more than 2,000 state-owned enterprises and the reform of the gas and electricity markets will be the next major tests for the government. Will these reforms help create a more level playing field for investors or will they simply breed new oligarchs? Orysia Lutsevych was a research fellow with the Russia and Eurasia program at Chatham House. This is an abridged version of a comment that originally appeared on Chatham House's website.